The short-term fieldwork is one of the Phoenix Leader Education Program’s compulsory subjects that aims to have participants working from an interdisciplinary perspective, better grasp the current status of the radiation disaster recovery. Goals of this program include protecting lives from radiation disasters, protecting the environment from radioactivity, and protecting society from radioactivity, and clearly identifying challenges needing to be solved. We have invited participants from other “Programs for Leading Graduate Schools” as well as from overseas universities since our 2014 fieldwork in order to offer students the opportunity to carry out discussions with PhD students from a variety of research fields. 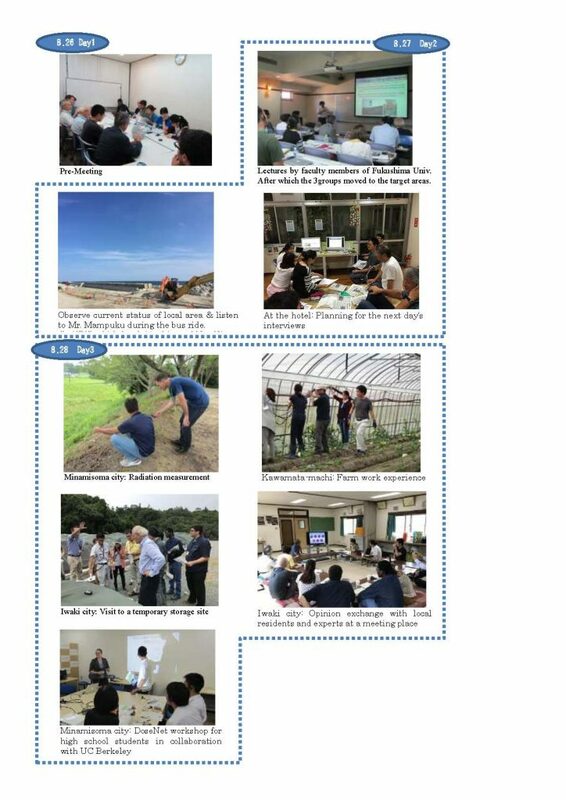 This fifth short-term fieldwork, included students from Hiroshima University’s TAOYAKA Program and the University of California, Berkeley. Experts from both international and domestic research institutions were invited to act as fieldwork trainers. We were able to conduct our on site studies for 6 full days due in large part to the tremendous support from local residents and local government officials. 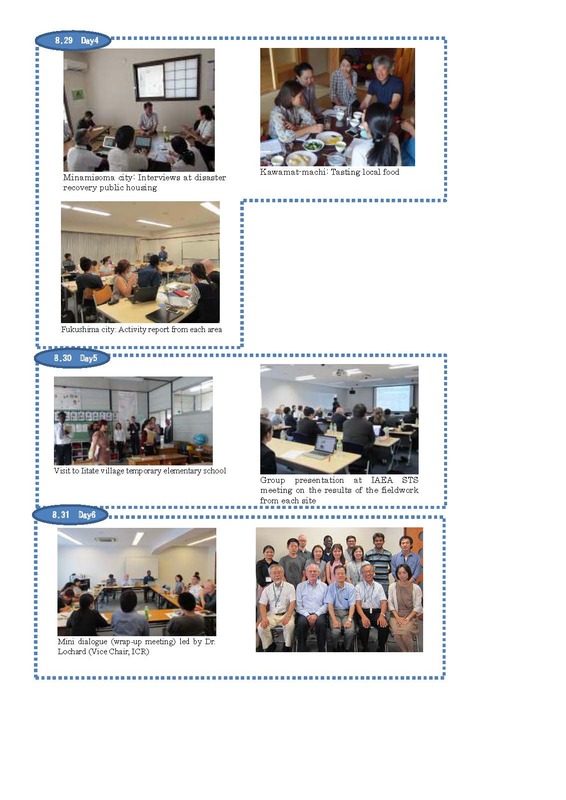 All participants learnt about the current status of reconstruction from lectures given by faculty members of Fukushima University, and visited a temporary elementary school of Iitate village. They conducted their fieldwork as three teams in the following areas; Minamisoma city, Date-gun Kawamata-machi, and Iwaki city. Moreover, in collaboration with UC Berkeley, they held a workshop to learn about radiation with local high school students. We highly appreciate the guidance and support we received from everyone.